Remove the O-ring seal (1) from the A/C refrigerant component. 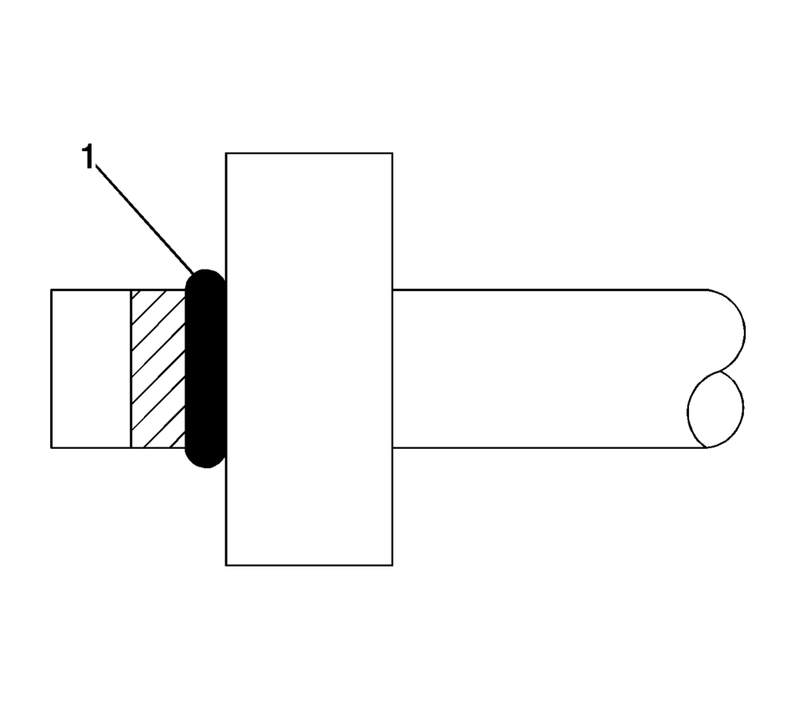 Inspect the O-ring seal for signs of damage to help determine the root cause of the failure. Inspect the new O-ring seal for any sign of cracks, cuts, or damage. Using a lint-free clean, dry cloth, carefully clean the sealing surfaces of the A/C refrigerant components. DO NOT allow any of the mineral base 525 viscosity refrigerant oil on the new O-ring seal to enter the refrigerant system. Lightly coat the new O-ring seal with mineral base 525 viscosity refrigerant oil. DO NOT reuse O-ring seals. Carefully slide the NEW O-ring seal (1) onto the A/C refrigerant component. 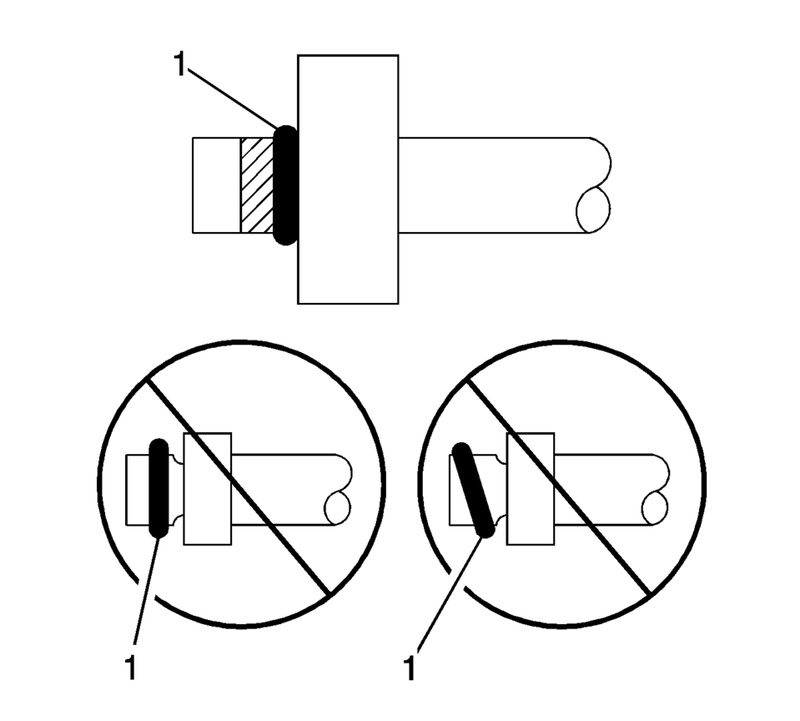 The O-ring seal (1) must be fully seated. Refer to the appropriate repair procedure.